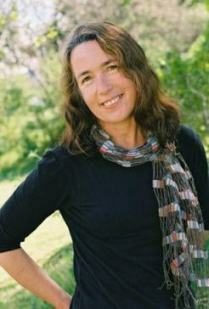 Jillian Sullivan lives and writes in Central Otago, New Zealand. She is published in a wide variety of genres and teaches workshops on creative non-fiction and fiction in New Zealand and America (Rosemont College, Philadelphia; Highlights Foundation, Pennsylvania). Once the drummer in a woman’s originals band, and now grandmother of nine, her passion is natural building. For the last six years she has worked as lime plasterer, strawbale and mudbrick builder on her own projects – a strawbale home, a mudbrick cottage and wall – as well as volountary restoration work on mudbrick buildings. From 2014-2017 she worked as a nurse aid for the Maniototo Hospital. In 2017 she was awarded the NZSA Beatson Fellowship towards writing a collection of creative non-fiction essays. Jillian’s five children have been roped in in various ways with natural building, and she continues to inspire young people with her dream -that it’s possible to build your own shelter. But writing is her first love, from growing up in Masterton in the 50s to 70s, to living in a house bus with baby and husband, to bringing up a family beside the sea in Motueka. She finished a Masters degree in Creative writing in her 50s, and became builder’s labourer and earth plasterer nearing 60. Now home is the tussock lands, the tor-serrated dry hills and the white flanked mountains of the Ida Valley, where she has 20 acres bordering the Ida Burn, and plenty of room to store clay and sand for future earth projects. Publications: Two picture books, four children’s novels, two collections of young adult short stories, a mythology collection, a creative non-fiction book on writing, a collection of poetry, a memoir, thirteen chapter books and over 45 essays and short stories. Current projects, a collection of essays, a second collection of poetry and a recently finished adult novel.